Have you spent hours, days, or even weeks scrolling through hundreds of job listings trying to identify the “perfect job title” that fits your interests? You’re not alone. One of the biggest challenges job seekers have is knowing what types of jobs to search for in their job search, or even which jobs exist (e.g: Sales Jobs). LinkedIn Learning combines industry-leading content from Lynda.com with LinkedIn’s professional data and network. 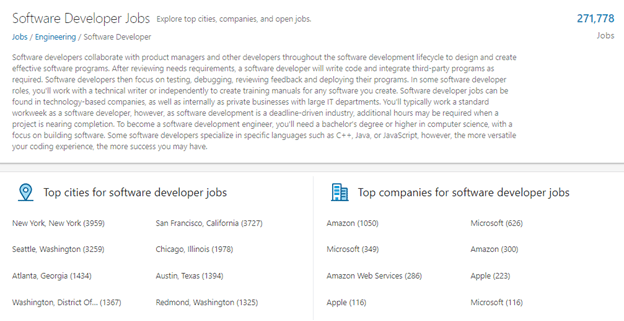 Get a unique view of how jobs, industries, organizations, and skills evolve over time-powered by more than 500 million member profiles, including billions of engagements. From this, LinkedIn can identify the skills you need and deliver expert-led courses to help you obtain those skills. It takes the guesswork out of learning! You can identify which skills are key to achieving business goals, and learn those skills in a personalized, efficient way. Delve into paths that are available to you with your new skill set via the Linkedin career exploration pages. 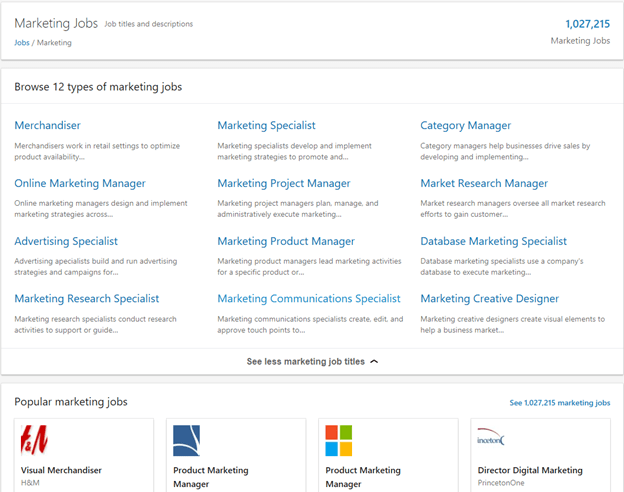 There you can discover jobs by function, with job titles you didn’t even know existed, and relevant salary information.